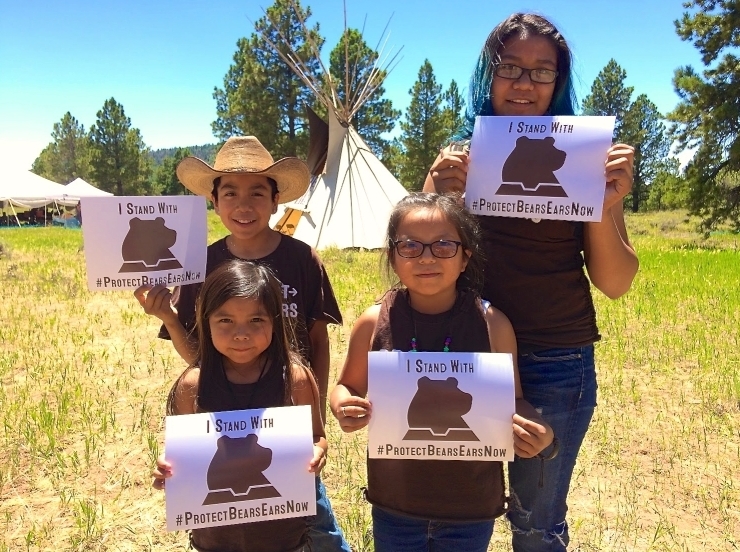 “It is a coalition of five tribes that have come together to protect our homelands. We stand here together today, united, with one voice"
Navajo Nation Speaker LoRenzo Bates and Council Delegate Davis Filfred were among several tribal leaders who took part in a press conference last Wednesday at the National Press Club in Washington D.C., which was organized by a coalition of five tribes in response to a recent Executive Order issued by President Trump that directs the U.S. Department of the Interior to review recent national monument designations and to recommend changes to the designations, including the Bears Ears National Monument. Throughout the hour-long press conference, tribal leaders called on President Trump and U.S. Sec. 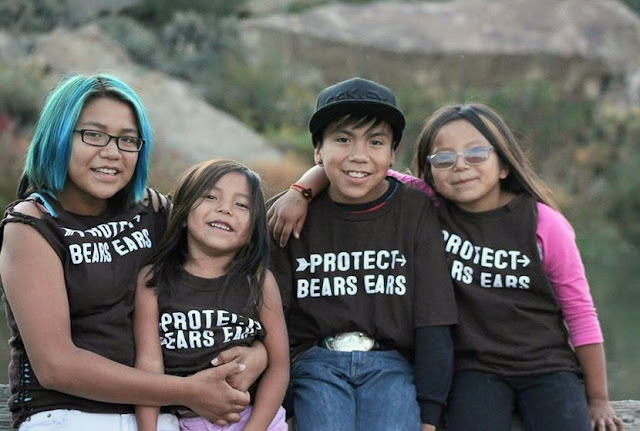 of the Interior Ryan Zinke to meet with the tribes to discuss the status and future of the Bears Ears National Monument, while noting that Sec. 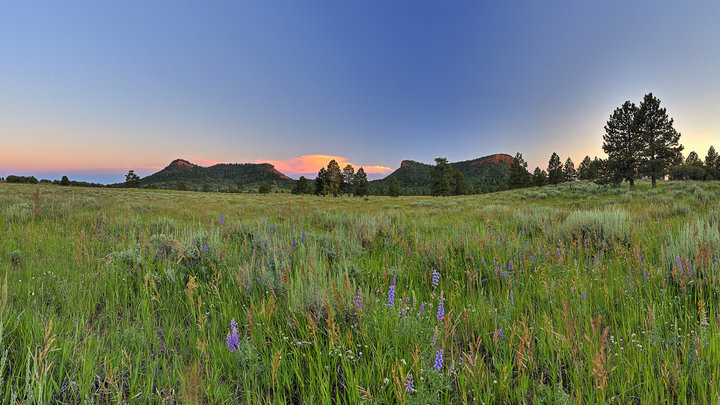 Zinke has already met with the Utah congressional delegation and San Juan County, Utah officials to discuss their opposition to the national monument designation, which was proclaimed by former President Obama in December. “Secretary Zinke is the secretary for all tribal nations, not counties and states, but he met with the Utah delegation and San Juan County officials and has yet to meet with us,” said Delegate Filfred, who serves on the Bears Ears Tribal Commission as the representative of the Navajo Nation. The Bears Ears Tribal Commission includes representatives from the Navajo Nation, Hopi Tribe, Zuni Tribe, Ute Mountain Ute, and the Ute Indian Tribes. The commission has met on several occasions to begin the process of assisting in the co-management of the monument alongside federal land managers. Other tribal leaders who participated in the press conference included Pueblo of Zuni tribal councilman Carleton Bowekaty, Ute Mountain Ute chairman Harold Cuthair, and Ute Indian Tribe Business Committee chairman Shaun Chapoose. 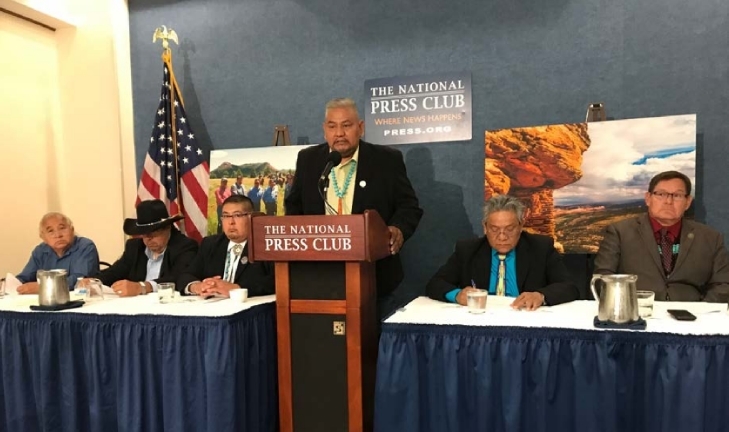 The tribal leaders requested and demanded that the Trump administration meet nation-to-nation with the tribal coalition and urged the federal government to uphold the national monument designation. 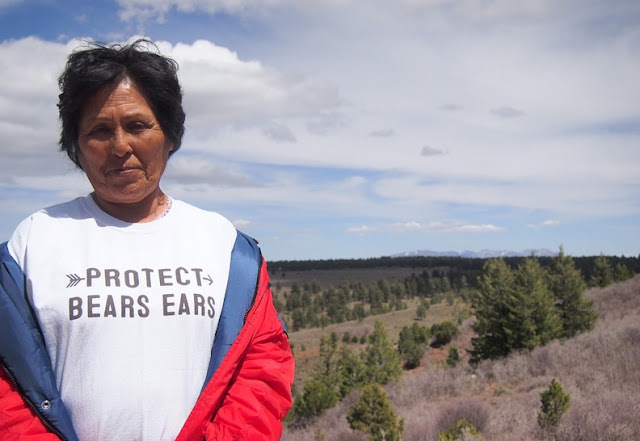 “The Navajo Nation Council and our Nation has a clear position on Bears Ears National Monument – there is unanimous support, but by cherry picking a few Navajo people from San Juan County, you are undermining the clear the position of tribal governments,” stated Speaker Bates. Speaker Bates also pointed out that members of the Navajo Nation Council voted unanimously in March 2015 in support of the monument designation, and again in January 2017 to oppose any attempt to reverse or undo the designation. Several of the tribal leaders indicated that tribes may pursue legal action if the Trump administration decides to reverse the monument designation at the conclusion of the Department of the Interior’s 45-day review. Delegate Filfred also stated that the tribal coalition would prefer to meet with Sec. Zinke and the Trump administration prior to the conclusion of the 45-day review period rather than litigating. Responses to "Tribal Leaders Call on the White House to Preserve the Bears Ears National Monument"